London: Investors are throwing down the gauntlet to anyone who pronounced the last rites for stock bulls in the grip of the December meltdown. Spurred by reassuring signals on trade, monetary policy and growth, the S&P 500 jumped 2.5% last week, after staging its biggest 10-day rally in a decade. As money managers recite the buy-the-dip mantra once more, and traders cover their shorts, the safer equities tracked by quants — offering low volatility or outsize dividends — are losing their mojo. Instead, US companies riddled with leverage have posted their best two-week run in nearly three years while value shares rebounded at the fastest pace since 2016, according to portfolios compiled by Bloomberg. A mere bounce from an overwrought sell-off, or proof there’s life yet in the famed bull market? On that, battle-weary market players are taking the skeptical side of the wager. 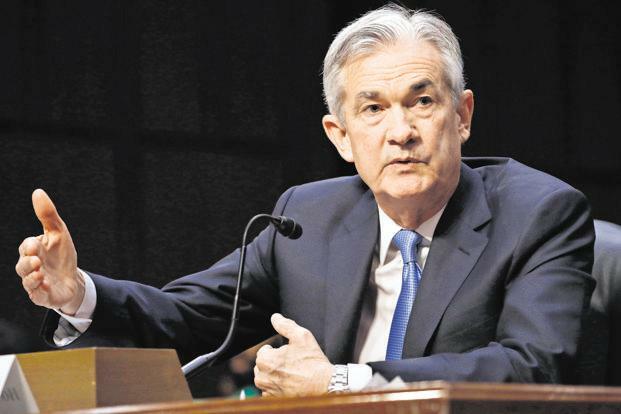 The Federal Reserve’s more dovish tone, resilient US data and ebbing trade tensions appear to be breathing life into investing strategies hit in the December chaos. Last year, as volatility jumped, widening credit spreads punished levered companies while cheaper shares sensitive to economic swings took a battering. Now, cyclical stocks are besting defensives at the fastest pace in almost a year, as the volatility futures curve and implied price swings signal easing fears of another market blow-up. As earnings season and US policy gridlock loom large, bulls need plenty of nerves of steel. In a risk-on signal for computer and human traders alike, small caps — dubbed a lead indicator for sustainable rebounds — are also outperforming their larger peers. The Russell 2000 gained 4.8% last week, its best run versus the Russell 1000 since 2017. The small-cap index is three points from 1,450 — a level trend-following quants known as commodity trading advisers will accelerate their short-covering, according to Nomura Holdings Inc. As momentum builds, it could be a matter of time before hedge funds — naysayers to the rally thus far — boost their exposures en masse, according to the Japanese lender. “US equity markets are at a critical tipping point,” quant strategist Masanari Takada wrote in a January 10 note. Gear up for another head fake, warns JPMorgan’s Chaudhry. Until fundamental macro data bottoms, “it seems very premature to be putting too much money in very high-beta areas of the market,” he said. With cash-rich investors re-balancing portfolios at the start of the year, there’s good reason to fret the rebound is on thin ice, according to Cyrille Collet, Paris-based head of quantitative investing at CPR Asset Management, an Amundi SA unit with 46 billion euros ($53 billion).